London Introductory Half Day Excursion. London seen as you please: two choices. Vital London Short City-Tour Panoramic These 2 excursions are very reasonably priced and popular top quality private London 2 hours or 4 hours introduction by a tour professional. Our clients found indispensable advice for their confidence in moving about during their stay. They learned a lot in a very short time. These tours are conducted by qualified driver-guides, depart from the clients hotel and finish at a clients' location choice. 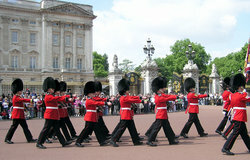 In addition, you may choose from places such as: the London residence of Her Majesty the Queen Elizabeth II where the Changing of the Guard takes place on certain days. May stop inside Hyde Park to admire its immensity and the Princess Diana Memorial. Nothing Hill markets, Harry Potter film setting locations or the Tower of London which contains The Crown Jewels and over 900 years of British history guarded by the Yeoman of the Guard. Classic Renaissance style buildings, a spectacular draw bridge, the London of Shakespeare, the Serpentine, the Temple church in addition to famous landmarks such as: Big Ben, Westminster, Parliament, Trafalgar Square, Piccadilly, Speakers' Corner and Harrods.... just a few. Includes: Departure from your hotel, private air conditioned luxury vehicles, fully escorted by qualified driver-guide, parking, fuel, local taxes, choice of itinerary and advice.